Vector icons set related to business and work. 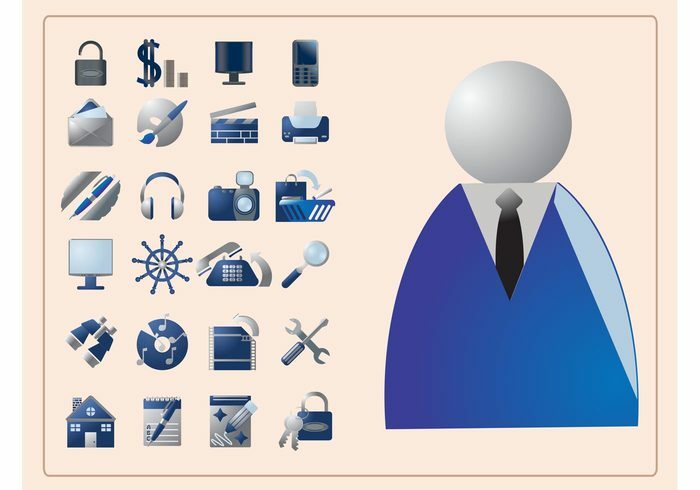 Icons with businessman with a tie, lock, dollar sign, computer screen, mobile phone, mail, sync slate, printer, telephone, loupe and others. Minimal and stylish free vector icon set for all work, office, business and career design themes.